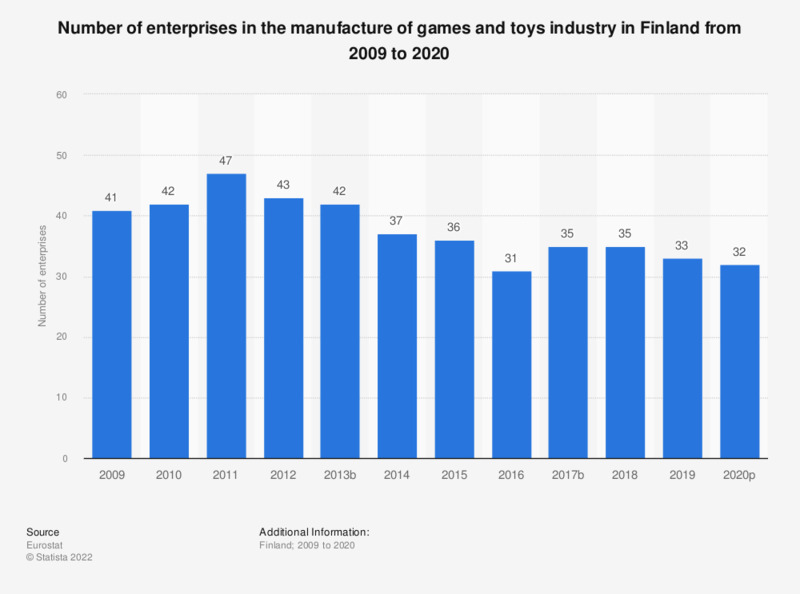 This statistic shows the number of enterprises in the manufacture of games and toys industry in Finland from 2008 to 2015. In 2014, there were 37 enterprises manufacturing games and toys in Finland. Data coverage corresponds to Section C324 of NACE Rev. 2. Statistics on "Children's products in Italy"
Who buys toys and games to your child? Which feelings/words do you associate to your children toys and games? Which kind of information do you want to receive by toys and games brands? When thinking about a specific toys and games brands suitable for your child, which characteristic it should have? To what extent does your child influence your decision to buy the following products? In what ways does your child influence your decision to buy these products*? Do you go to buy toys in stores?